At the June 7 Harper College Educational Foundation Board meeting, Martha Bell retired from the Harper College Educational Foundation Board of Directors and was honored for her 25 years of service to the College. 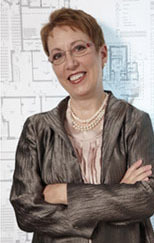 Martha joined the Harper College Educational Foundation Board of Directors in 1991. Over the years, Martha has served the Foundation in many capacities, including chairing the Art Committee and the Gala Committee and serving as the first female president of the Foundation Board. She is an advocate of the arts and was instrumental in growing the College’s art collection to the largest public art collection in the Northwest suburbs. In 2008, Martha received the James J. McGrath Recognition Award, honoring her for her outstanding community service to Harper College. Martha, along with her late husband, Glen Reeser, established two scholarships to help Harper College students. The Jackie Bukacek Endowed Scholarship and the Glen Reeser Scholarship to Promote Creativity in STEM Studies were created to support students studying art. Martha established an estate gift to Harper College, which will support the arts at the College for generations to come.